Mr. Stevens received his Bachelor of Science degree in Meteorology from the University of Oklahoma and his Master of Science degree in Atmospheric Science from Colorado State University. His master's thesis was centered around the transition from warm cloud to rain and its relationship to several meteorological variables, using data from the Atmospheric Radiation Measurement program's station on Nauru Island. Using statistical techniques, Mr. Stevens studied the correlation between these variables and the onset of rain, in the hopes of improving satellite algorithms, which detect rainfall. 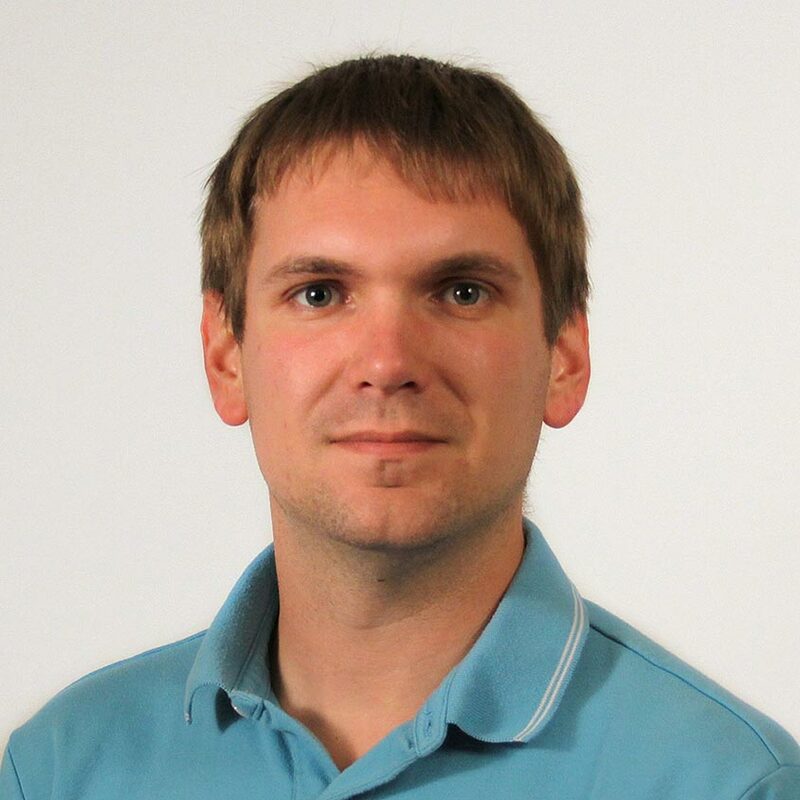 As an undergraduate, Mr. Stevens also completed an internship with the Oklahoma Climatological Survey, in which he investigated decadal warming trends using the Oklahoma Mesonet. Mr. Stevens joined NCICS as a research associate on March 8, 2010. Schlie, E., D. Wuebbles, S. Stevens, J. Trapp, and B. Jewett, 2019: A radar-based study of severe hail outbreaks over the contiguous United States for 2000–2011. International Journal of Climatology, 39, 278-291. http://doi.org/10.1002/joc.5805. Sugg, M. M., S. S. Stevens, and J. D. Runkle, 2019: Estimating Personal Ambient Temperature in Moderately Cold Environments for Occupationally Exposed Populations. Environmental Research, In press. Stevens, S.E. , B. Nelson, C. Langston, and Y. Qi: Steps toward a CONUS-wide reanalysis with archived NEXRAD data using National Mosaic and Multisensor QPE (NMQ/Q2) algorithms. 2012, American Geophysical Union Fall Meeting, San Francisco, CA. Stevens, S.E., B. Nelson, C. Langston, and R. Boyles: National Mosaic and Multisensor QPE (NMQ/Q2) reanalysis in the Carolinas region and directions toward a Con-US wide implementation. 2011, American Geophysical Union Fall Meeting, San Francisco, CA. Stevens, S.E. , B.R. Nelson, and C.L. Langston, National Mosaic and Multi-sensor QPE (NMQ) reanalysis in the southeastern United States. 2011, American Meteorological Society 19th Conference on Applied Climatology, Asheville, NC. Stevens, S., 2009: A ground-based analysis of the transition from warm cloud to rain. M.S. Thesis, Department of Atmospheric Science, Colorado State University, 72 pp. Stevens, S., B. Illston, and J. Basara, 2006: Analysis of surface heating trends from 1994 to 2004 using Oklahoma Mesonet data. 18th Conf. on Climate Variability and Change. Amer. Met. Soc., Atlanta, GA.
Stevens, L.E., K.E. Kunkel, and S. Stevens, 2018: The Role of Atmospheric Water Vapor in the Observed Upward Trend in Extreme Precipitation. 32nd Conference on Hydrology, Austin, TX, 7–11 January 2018. Stevens, S., S. Saha, and J. Bell, 2017: The relationship between precipitation and traffic fatalities, a high-resolution comparison. 12th Symposium on Societal Applications: Policy, Research and Practice, Seattle, WA, 22–26 January 2017. Fuhrmann, C., M. Sugg, J.D. Runkle, and S. Stevens, 2017: Personal Monitoring of Occupational Heat Exposure among Grounds Management Workers: Preliminary Results from Three University Campuses. Eighth Conference on Environment and Health, Seattle, WA, 22–26 January 2017. Stevens, S. and C.J. Schreck, 2017: A 1-km Climatology of Subhourly Rain Rates for the Contiguous United States from NOAA’s NEXRAD Reanalysis. 23rd Conference on Applied Climatology, Asheville, NC, 26–28 June 2017. Lawrimore, J., D. Wuertz, M. Palecki, D. Kim, S. Stevens, R. Leepero, B. Korzeniewski, 2017: Improved Hourly and Sub-Hourly Gauge Data for Assessing Precipitation Extremes in the U.S. American Geophysical Union Fall Meeting, New Orleans, LA, 11–15 December 2017. Stevens, S., 2016: Presented findings to Climate and Health group at the Centers for Disease Control and Prevention, Atlanta, GA, 16 Feburary, 2016. Hennon, C. C., S. E. Stevens, C. J. Schreck, K. R. Knapp, and J. P. Kossin, 2015: Cyclone Center: A crowd sourcing application of the HURSAT-B1 data record. 20th Conference on Satellite Meteorology and Oceanography, Phoenix, AZ, 4–8 January 2015,. Hennon, C. C., K. R. Knapp, C. J. Schreck, S. E. Stevens, J. P. Kossin, P. W. Thorne, P. A. Hennon, M. C. Kruk, and J. Rennie, 2014: Toward a homogeneous global tropical cyclone intensity record. 31st Conf. on Hurricanes and Tropical Meteorology, San Diego, CA, 31 March–4 April, 2014. Hennon, C. C., J. Rennie, C. J. Schreck, S. E. Stevens, P. A. Hennon, K. R. Knapp, J. P. Kossin, P. W. Thorne, and M. C. Kruk, 2014: Cyclone Center: Using citizen science to reconcile global tropical cyclone intensity. Eighth International Workshop on Tropical Cyclones (IWTC-VIII), Jeju, Republic of Korea, 2–10 December 2014. Stevens, S., B. Nelson, K. Kunkel, O. Prat, and T. Karl, 2014: Relationship among high rainfall rates, atmospheric moisture, and temperature based on high-resolution radar-based precipitation estimates. American Geophysical Union Fall Meeting, San Francisco, CA, 15–19 Dec 2014.